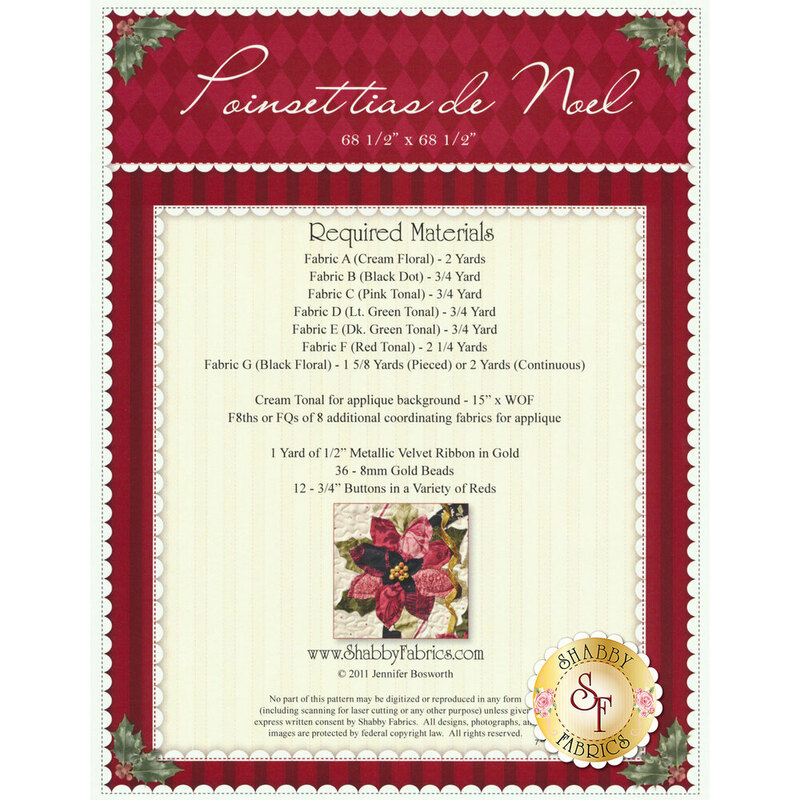 Create this stunning 68" x 68" quilt, Poinsettias de Noel, designed by Jennifer Bosworth of Shabby Fabrics! Each 12" perimeter block features piecing, while the center block features applique. Pattern includes all instructions. The Embellishing Kit includes gold beads, hand pressed buttons for the holly berries and gold metallic velvet ribbon. Unsure of your applique skills? Add our 9-piece Applique Kit which includes an Applique Guide, Applique Stiletto, 3 spools of Kimono Silk Thread, 25 Sheets of CutRite Heavy Duty Freezer Paper, case of Straw Needles, stipple brush, and a bottle of Roxanne Glue-Baste-It!